Over 1,000 years ago, a beautiful young firl by the name of Lin Mu was born at the Xianliang Port of Meizhou Bay in Putian, Fujian Province. Clever, brave and kind-hearted, Lin Mu could forecast the weather and was happy to help fishermen in distress at sea. She encouraged the people to conquer nature and defeat evil, so she was much loved and esteemed by the people in her hometown. Unfortunately she died an early death at only 28. As the legend goes, she ascended to heaven and became an immortal at Meizhou Bay located opposite to the Xianliang Port. The respect for Mazu has turned into a wide-spread belief with the passage of time. Following the footprints of sea merchants and overseas Chinese, Mazu went out of Putian, out of Fujian and out of China, making her presence in many corners of Asia, America, Australia and Europe. 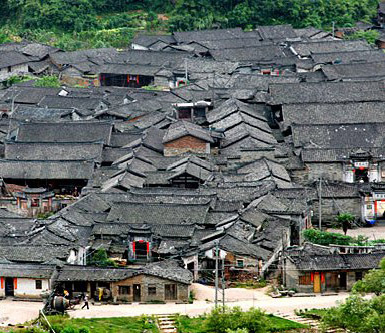 Consequently, over 1,500 Mazu temples are found all over the world, where Muzu from Meizhou are consecrated. The belief in Mazu has become a sort of transnational folk belief with more than 100 million worshippers. 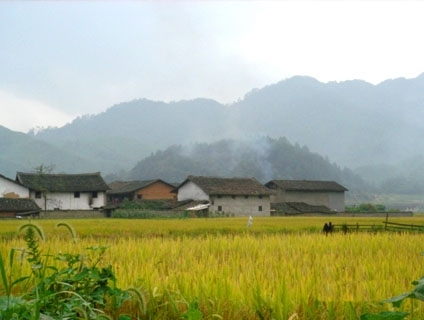 However, different from a religion in the ordinary sense, is a special kind of ideology connected with theology, religion, folklore, sociology as well as the history of sea commnication overseas Chinese, culture and the development of Fujian and Taiwan. This is the culture of Mazu which has aroused an extensive interest and great attention of Chinese and foreign scholars and is now under integral part of the culture of the Chinese nation and a part of the brilliant civilization of China. In recent years, there are a number of academic groups, experts and scholars working on research of Mazu and published special works on the subject in Taiwan, Hong Kong and Macao regions and in such countries as Japan, the United States, France, Singapore and Malaysia. The research on the Mazu culture has a great appeal and cohesive force to the Chinese both at home and abroad. Now the achievements in the research on the Mazu culture have become valuable material in the research on the history of navigation, science, overseas Chinese, development of off-shore islands and economic and cultural exchanges with foreign countries as well as the history of folklore and religion of ancient China.